VERY Limited CLASS REGISTRATION for new students THRU April 1, 2019* - when session closes. Watch for our schedule coming out before the end of April with Workshops and Dance Camps for everyone!!! **NEW TO US?? --please Register a NEW ACCOUNT so we have your email AND can send you INFO for any upcoming session. **see tuition & policies area for more info. PLAY THIS VIDEO TO SEE CLIPS OF OUR TALENTED STUDENTS!!! OUR 2018 "HAMILTON" summer workshop SOLD OUT! 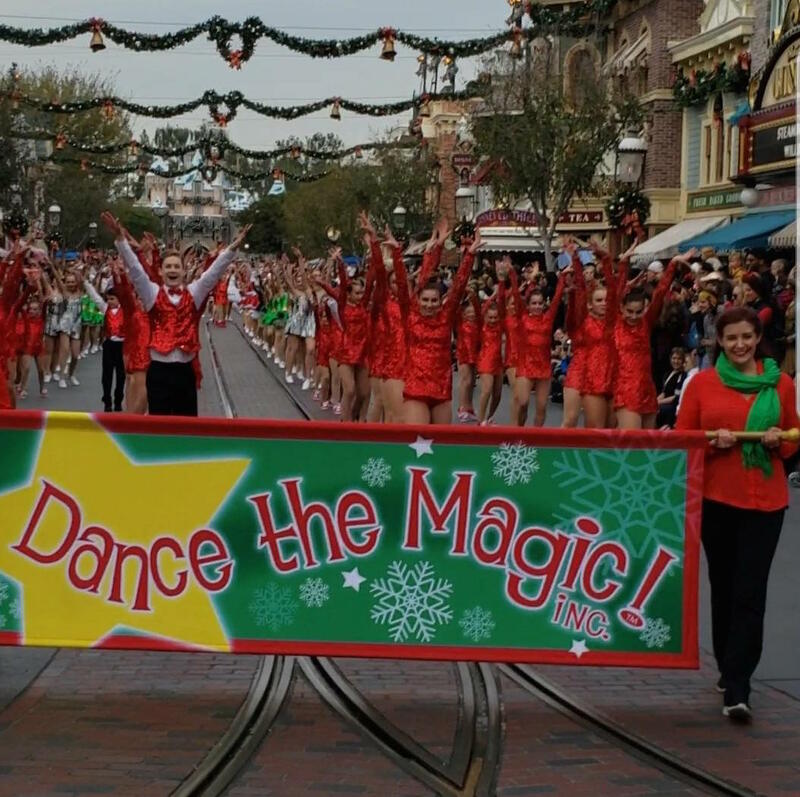 SELECTED TO LEAD THE DISNEYLAND "MERRY HOLIDAY PARADE" FOR THE 4th YEAR IN A ROW!! CONGRATS TO OUR 50 DANCERS WHO MADE THIS HAPPEN!!! We proudly received the highest honor at the THUNDERSTRUCK DANCE REGIONALS IN HAYWARD IN MARCH 2018!! "The Studio Excellence Award". We had received the Studio Excellence Award at Nationals in 2016, again in 2017 and now in 2018 Regionally. We will travel to Green Valley Resort at Thunderstruck Nationals again in July 2018 to claim our $10,000 Studio Excellence Award! The dancers were also awarded a COMPLIMENTARY DANCE WORKSHOP and three instructors were flown to our studio to work with our dancers for the day! Congratulations to our talented and dedicated over 150 dancers from ages 5 years thru Teens who achieved this extraordinary honor!!! ​Celebrating 39 years of Excellence in the Arts!! We are your PREMIER dance center that has the most distinguished faculty in the area with proven results. Featured in the Contra Costa Times as "the studio that nurtures and accepts ALL"!! From a very young 2 year old child that will learn creative dance/music that enhances many other life - / learning skills used at school and etc., along with developing motor skills, friendships and a joy of dance, music and theater arts to the Beginning age young dancer - ALL AGES, thru our Large CHILDREN & TEEN PROGRAM - ALL Levels - Beginning, Intermediate and Advanced, Pre-Professional - WE DO IT ALL at our large 6 Studio professional facility!! Dancers have a FUTURE at DCPAC - our full program guarantees that!! Why start at a small school, then have to transfer one day to our school to fulfill your child's dream?? JUST START AT DCPAC - your ONE STOP dance center! WE are honored to serve your children and the community for 39 years!! "TOP STUDIO" out of 42 other studios! our school also received a $10,0o0 grand prize that we are using towards facility upgrades, master class education for students and more! OUR SENIOR DANCE "RED" by David King and Kaylee Johnson WON the #1 top scoring senior line dance along with teen Division #1 dance - Mad Max! WE also REPRESENTED IN EVERY CATEGORY AT THE GRAND CHAMPIONSHIPS! **congratulations to all our amazing dancers and families who attended!! ** STARBOUND NATIONALS - WE REPRESENTED MULTIPLE top SCORING DANCEs IN the TEEN AND SENIOR DIVISION WITH OUR SOLOISTS AND DUO/TRIO WINNING THe TOP PLACES. again, RED won as #1 champion dance!! Our soloist grand champion-- KYLIE ELGAZZAR performed in the dance down AND IS THE "NEW FACE" OF STARBOUND WINNER"-- THE ONLY SOLOISTS TO REPRESENT THE COMPANY! Congrats to all our amazing dancers, teachers, and families who attended this extra NATIONAL!! !